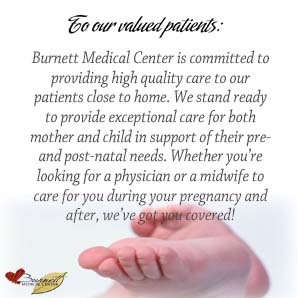 Burnett Medical Center is committed to providing high quality care to our patients close to home. To ensure this occurs, like other rural facilities, it has recently been determined that Burnett Medical Center will no longer offer labor and delivery services to expecting mothers. However, we will continue to work collaboratively with the facility of your choice for your delivery needs. Burnett Medical Center delivered less than 50 babies in 2016 and the obstetrics unit was expected to deliver the same number of babies, if not less, in 2017. 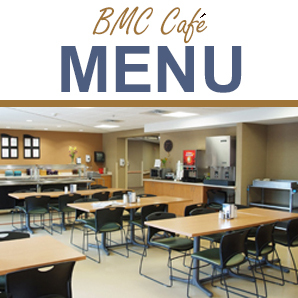 Due to the declining number of births at Burnett Medical Center, and the declining number of births in general, it has made it difficult to continue to provide the high level of care we are committed to providing. Please know that we continue to provide exceptional care for both mother and child in support of their prenatal and postnatal needs. Whether you're looking for a physician or a midwife to care for you during your pregnancy and after, we've got you covered!